Occasionally we get hold of a dram which can only be described as exceptional! This 1991 Vintage Balblair certainly fits the bill. 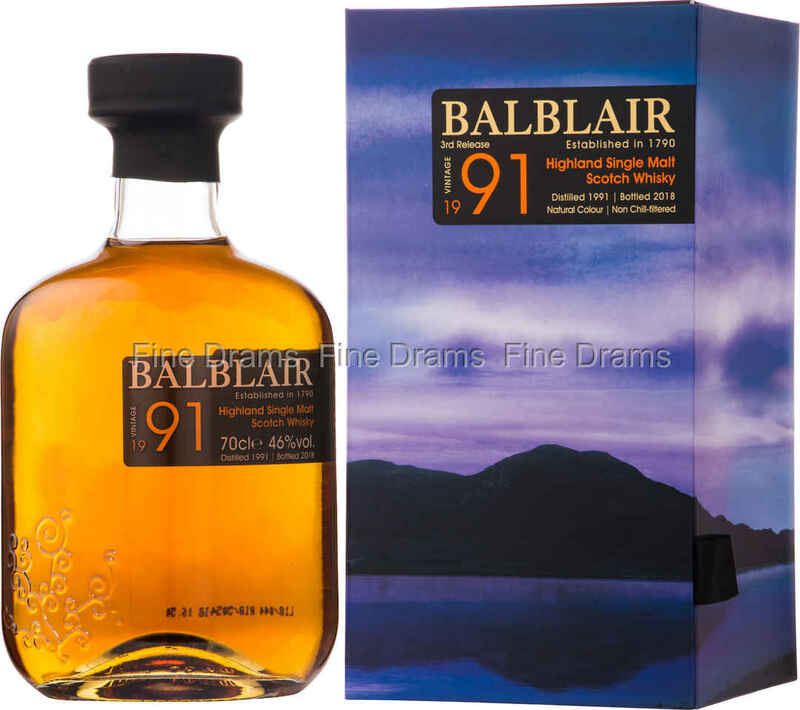 This is the 3rd release in Balblair’s line of 1991 releases. Matured in a mixture of former Bourbon barrels and European oak sherry butts for around 27 years, this is a luxurious, decadent dram, packed with flavour. Drinkers can expect notes of leathery dried fruit, woodspice, chocolate, liquorice, clear honey, apricot jam, dark oak and prunes. Vanilla custard over stewed orchard fruits appears after a while. Bottled at 46% ABV and without chill filtration or colouring, this is a full bodied and intensely flavoured whisky. A rich sensory experience, this dram is ideal for after dinner drinking.